This unique recording is informal, intimate and interactive, as Rachel and Oliver share from the heart and dialog about how TJEd works in the home. While the content in this seminar is based on information published in The Phases of Learning, these excerpts were specifically chosen for audio distribution because they are not available elsewhere in any format; this is a deeper and more detailed presentation with personal anecdotes and insights from one of the most successful and enduring TJEd seminars ever presented. Please note that the complete list of 55 ingredients is included, with explanations and ideas for implementation, in the book, The Phases of Learning. Will Technology Affect the Cycles? Teaching a Generation of Leaders for the Twenty-first Century Is American education preparing the future leaders our nation needs or merely struggling to teach basic literacy and job skills? Without leadership education, are we settling for an inadequate system that delivers educational, industrial, governmental, and societal mediocrity? In A Thomas Jefferson Education: Teaching a Generation of Leaders for the Twenty-first Century, New York Times Best-selling Author Oliver DeMille presents an overview of a new educational vision based on proven methods that really work! Teachers, students, parents, educators, legislators, leaders, and everyone who cares about America’s future must read this compelling book. Note: This volume is a philosophical overview, and not a step-by-step guide for implementation of the Leadership Education model. For additional help on application, see the The Phases of Learning and Hero Education. Core Phase is active throughout our lives and in all we do. This warm and inspiring workshop encourages families and educators to likewise allow Mission Phase to be an animating force in our education and activities. What is the core unit of society? Is it the corporation? The Individual? The Family? Therefore, leadership education can have a major impact on the future ideology, or core idea, which in turn shapes our society. A clear vision of the principles of TJEd and the lessons of Depth Phase enables us to push on through the challenging process of leadership education. We can articulate what we already feel. Includes discussion of the Phases, Allegiance, the 7 Lessons of Depth Phase, and how to prepare ourselves and our children to be the Leaders they were born to be. 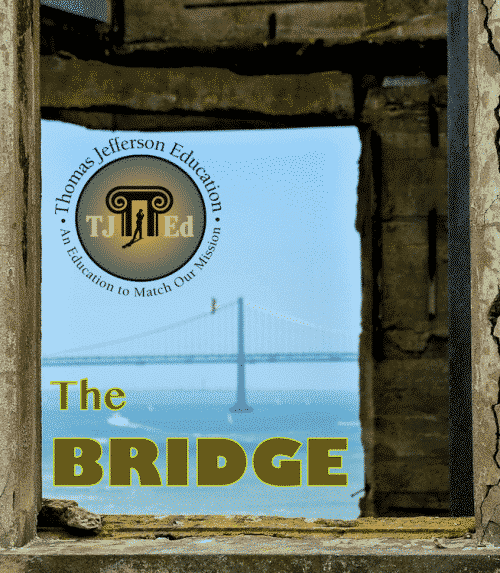 This audio discusses how to transition from Scholar to Depth Phase, and how to use that critical "Bridge" to fill in the gaps that inevitably occur during childhood and youth, so that the young adult is prepared to take on higher education, private mentoring, career and adult responsibilities, while pursuing a Depth Phase education that helps them achieve their personal mission. Sensus plenior, a Latin term, is the thought patterns and language of poetry, symbol, and celebrity. 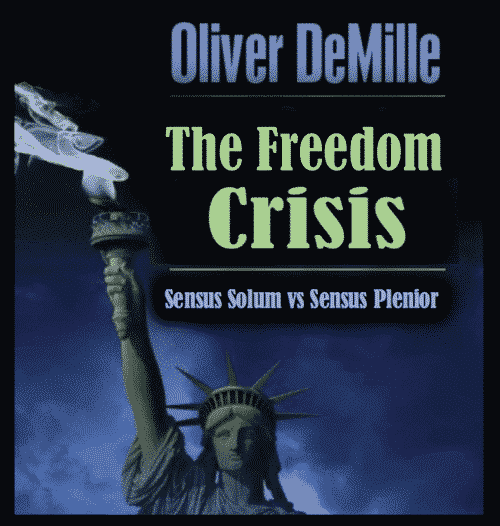 Lower classes in America have been taught sensus solum, while upper classes have been taught sensus plenior. This has created a de facto aristocracy. For freedom to win, America needs about 30 percent of the population to think in terms of sensus plenior. Mini-factory owners — innovators, entrepreneurs — think differently than other segments of the population. They believe in freedom. They build things worth fighting for. America needs at least 3 percent of the population to build successful mini-factories in order to revive, protect, and spread freedom. Statesmen have 1) a broad and deep understanding of governmental, societal, and familial forms that deepen and perpetuate freedom, and 2) the social capital and influence to implement those forms. They possess the highest levels of education based upon a specific methodology. With a deep understanding of history, they see into the future, then create and implement forms in the present.